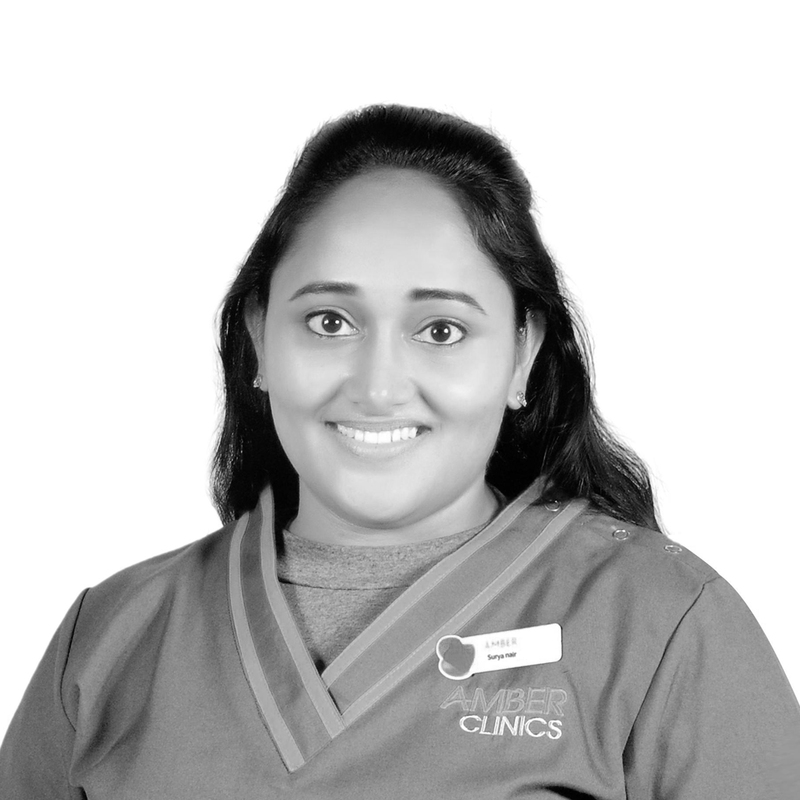 Surya Nair completed her Bachelor’s in Physiotherapy from AWH Special College, India under Calicut University in 2011. She is skilled and has more than 6 years of experience as a physiotherapist. She is passionate to offer compassionate care by means of providing quality rehabilitation. She is trained extensively in Musculoskeletal Physiotherapy, Manual therapy, Pre and post-operative rehabilitation in arthroscopic surgeries and joint replacement surgeries. Surya's key areas of expertise include Rehabilitation in orthopaedic surgeries, Sports injuries management, Rehabilitation of musculoskeletal cases, Neuro Rehabilitation, Exercise physiology, Exercise prescription patient care, Soft tissue and Myofascial therapy.